What is This Geeks World? Well we thought it might be worth a bit of Introduction. 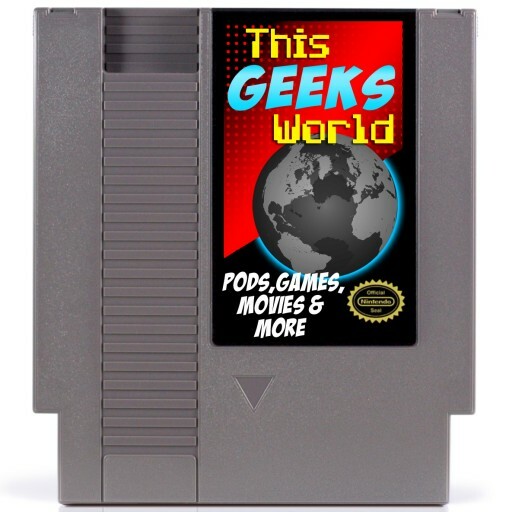 A Geeks World Intro of sorts. But the better question might be, what is your geek world? That is the premise of this website/blog/podcast and whatever else it turns into. We live in a very geeky culture but the truth of it is that anything you are “in to” is your geeky part of this world. For me, it is movies, comic books, video games, books, technology. I know, I know – I am the typical geek. Heck, I am even a Rennie, (more on that later). That being said, the sports guy or gal in your life is no less geeky about what their teams or sports. Ask the sports geek about stats and they will sounds just as geeky as somebody explaining the CGC grading system for Action Comics #1. That sports fan is just as big a geek as the band nerd they used to beat up in high school. The term geek has become a much less-maligned phrase in our culture. We happily refer to ourselves as geeks referring to the things that we geek out about. There are literally podcasts about every facet of geeky life. We have boards and boards dedicated to things we are fans of on Pinterest. Some of us even spend out time creating websites and podcasts about those very things of which we geek. Geeking Out is cool. Being a geek is becoming the norm. When half the movies you want to see in a given year are superhero movies, the geeks have won. So, why another pop-culture-y, geeky website? Because we think we have a unique voice. No one only geeks out about one thing. You can be a gamer and dig sports. You can be a literary geek and also be into movies. Comic Books can go hand in hand with power tools and DIYing your home. Your kids might be the main thing you geek out about, but you might also be a Prepper. No one fits one mold anymore and I for one say te more things we can all agree that we like the better off we are as a people – a very geeky people. What is your geeks world? What are you into? What do you geek out about? What do you watch? What do you listen to? Drop us a line and let us know what you think, or maybe even do some writing for us! Help us make this part of your geeks world.